At the heart of NAFOA's mission is strengthening tribal finance. 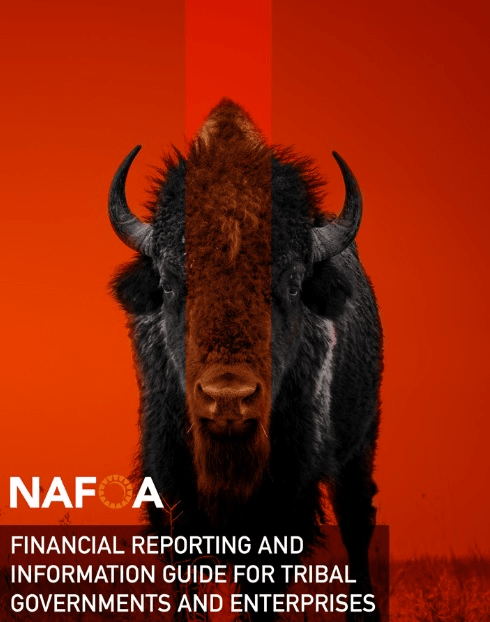 NAFOA is helping tribal governments give citizens, creditors, legislative and oversight officials, and other stakeholders information necessary to make informed decisions relevant to their interests in the tribe's finances through its new book Financial Reporting and Information Guide for Tribal Governments and Their Enterprises (Orange Book). The book was released at NAFOA's 35th Annual Conference in San Francisco. The contributors wrote the Orange Book around the idea that the information needs of tribes and related entities differ significantly from those of a state or local government, non-profit or an international corporation, and historically have not been understood by accounting standard setters. The Orange Book strives to resolve uncertainty in financial reporting by providing sample tribe-wide financial statements, answers to common government and enterprise activity scenarios, and discussions on pensions and taxation. The guide was developed by a team of highly-experienced professionals that work in Indian Country. "NAFOA recognized that there was not an accounting publication available that addressed the unique operating environment of a tribal government. The Orange Book provides a solid platform on how to develop financial statements and covers complex issues surrounding program funding, enterprise activities and opportunities, financial results, tax matters, and political activity," said Jennifer Parisien, Director of Financial Management Policy NAFOA. The ten chapter guide was informally reviewed by the Governmental Accounting Standards Board and the American Institute of Certified Public Accountants. Visit NAFOA's online bookstore to pre-order today. The book releases on April 24 and will arrive shortly after the release date.